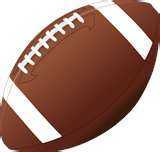 Today, Ryan Davies, John Sieczkowski, Brandon Yaegel and Vic Scalici lead Greater Media Newspapers’ 2011 All-Freehold Regional High School District Football Team as chosen by the district’s six coaches. As Manalapan coach Ed Gurrieri addressed his team following its double-overtime victory against West Windsor-Plainsboro South in the NJSIAA Central Group IV semifinals two weeks ago, a few words from the school’s public address announcer drew quite a reaction from the players. The Braves, through their cheers and satisfied expressions, made no effort to hide their feelings on Sayreville’s 22-15 win against top-seeded and previously-undefeated South Brunswick in the other semifinal, thinking in that moment of their shot at redemption. Manalapan will need one more big game from its tailback as it heads to Rutgers University on Saturday at 1 p.m. to face Sayreville for the NJSIAA Central Jersey, Group 4 championship. Manalapan will play arguably the biggest game in its history on Dec. 3 at Rutgers University when it takes on defending champion Sayreville in the NJSIAA Central Jersey Group IV final. While that game is obviously important, there were several pressing matters waiting for the Braves in their annual Thanksgiving game against Marlboro on Wednesday evening. The West Windsor-Plainsboro South football entered last night’s NJSIAA Group IV Central semifinal planning it being just one more step in their road back to Rutgers. Instead, they were dealt one of the more heartbreaking losses in Mercer County football history in falling to Manalapan, 21-20, in double overtime, when the Braves’ standout sophomore running back John Sieczkowski plunged in the end zone from two yards out to convert the 2-point conversion. An unforgettable NJSIAA Central Jersey, Group 4 semifinal came down to the gamble of a lifetime Friday night. It was a gamble that paid off for the Manalapan High School football team. Brick Memorial has become a team nobody wants to play in the first round of the NJSIAA playoffs, no matter how low it is seeded. So, Manalapan (7-1), the No. 2 seed in Central IV, is on guard tonight when the No. 7 seed Mustangs (4-5) come calling in a Central IV quarterfinal. For a second consecutive year, a Manalapan running back piled up more than 200 yards against Toms River North. And for a second consecutive year, that running back scored a game-winning touchdown in the fourth quarter to dash the Mariners’ playoff hopes. The first time the Manalapan High School football team played Brick Memorial High School during the 2011 season, the Mustangs’ defense “held” the Braves’ John Sieczkowski to 114 rushing yards and chants of “overrated” were heard being yelled by the Brick Memorial fans toward Sieczkowski. There were no Brick Memorial fans yelling “overrated” at Sieczkowski on Nov. 11 as the Braves’ running back tore though the Mustangs’ defense for 331 yards and three touchdowns as Manalapan beat the Mustangs, 28-21, in the first round of the Central Jersey Group II state playoffs. As a wild celebration went on around him, Manalapan head coach Ed Gurrieri pumped his fist jubilantly as he made his way to the center of the field Friday night. It was a well-deserved emotional release after one of the gutsiest calls of these NJSIAA football playoffs sent the Braves to their first sectional final appearance since 2003 and just the second in their history. It’s not often a team can graduate the Offensive Player of the Year and an NCAA Football Bowl Subdivision (formerly Division 1-A) quarterback and compete the next year for championships, but that’s the case at Manalapan. When Manalapan freshmen Mike Caggiano walked back to the sideline after a missed extra point in the first quarter, his demeanor let head coach Ed Gurrieri know he could go back to the ninth grader without hesitation if a crucial moment presented itself. Manalapan running back John Sieczkowski set the Shore Conference's single-game rushing record by amassing 425 yards in the Braves' 40-21 victory over Howell on Friday evening. Current Denver Bronco Knowshon Moreno, who starred at Middletown South, held the previous mark with 420 yards against Neptune in 2004. Prowess on the ground is nothing new to Manalapan, which improved to 5-1 this season with its latest triumph. In 2010, Josh Firkser, now at Wagner, led the Garden State with 2,035 rushing yards. Manalapan High School varsity football coach Ed Gurrieri calls it “the Manalapan way.” “We are going to be physical and we are going to run the ball,” he said. That is the Braves’ identity, a team that is going to be physical and assert its will on the game. Manalapan High School football player John Sieczkowski could not believe his good fortune. That football was just handed to him. Manalapan freshman kicker Mike Caggiano had never been in a bigger spot than what he found himself in with eight seconds left in a Shore Conference nondivisional contest against Brick Memorial. At the same time, if you had no idea he was a freshman, you would have definitely thought he was used to the big spot. John Sieczkowski of Manalapan breaks Shore Conference rushing record with 425 yards vs. Howell. In a Shore Conference battle, Manalapan improved to 5-1 with a 40-21 victory over Howell. Senior tailback John Sieczkowski broke the conference single game rushing record with 425 yards on the ground. He had three scores on the day, including two on runs of over 50 yards. The previous single game record was held by current NFL player Knowshon Moreno. Click on the logo above to get the latest on the Braves schedule. 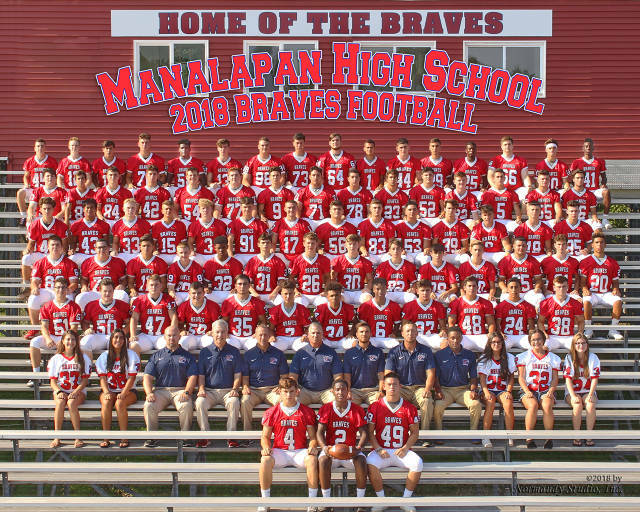 The Braves have a new site that gives up to the minute changes to any of the teams that play at Manalapan.Go onto the site and logon to have alerts sent to your cell phone when ever there is a change to the Manalapan Braves schedule. Manalapan survived what head coach Ed Guerrieri called a “classic trap game” against Old Bridge on Friday night. When he enrolled at Monmouth University in the fall of 2008, Craig Peterson said he was uncertain about continuing a football career in which he had set Manalapan High School records with more than 3,000 yards passing and 27 touchdown throws. TJ Barbar and Joe DeSantis are 2 members of the Braves family playing football at the next level. The two had the opportunity to be on the field together again this past weekend this time on opposite sides off the field. "Coach said, Just do one thing for me-give me five more yards," Sieczkowski said. "I was like-Thats all you want I got about 7 or 8 and then he took me out". A North Defensive Divisional player of the week. Mahon had an interception return for a touchdown to help cap a 40 to 21 win over Howell that clinched no worse than a tie for the Brave's second straight class A North title. Click on logo for full storyThe Manalapan football team turned three first-half turnovers into touchdowns en route to a 33-12 victory in a Shore Conference Class A North game on Saturday night. For full story click on APP logoAnthony Firkser showed on Saturday night why it’s called special teams. The Manalapan junior kick returner impacted a Shore Conference Class A North game against Freehold Township with two long punt returns, helping the Braves to a 35-0 decision for their third straight victory. To say seasons were on the line when 0-1 Middletown South traveled to face 0-1 Manalapan on Friday evening would be unfair, but the team that emerged 0-2 would certainly have an uphill climb ahead in qualifying for the NJSIAA playoffs. When a team loses a large chunk of talent to graduation, there are two theories that can apply to the next crop of players that will have to replace that group. THE FOLLOWING PLAYERS WHERE NAMED CAPTAINS OF THE 2011 MANALAPAN BRAVES FOOTBALL SEASON. Congratulations to the following Manalapan Braves. They where selected to play in the All Shore Gridiron Classic. Ocean wins All Shore Contest 6 to 3. Click on Allshore logo for full storyFirkser, who ran for a school record 2,053 yards and 27 Touchdowns in the fall, punctuated a 12 play,81 yard drive with a 5 yard touchdown run for a 7-0 first quarter lead. The Manalapan Braves Defensive line took first place in the Big Uglies Competition on Friday night in Monroe. The Offensive line took second place. Manalapan had entered two teams in the competition. One of the highlights of the evening pitted the two teams against each other in the tug of war contest. Manalapan came out on top.